As a single mom, Mindy has not had an easy time making it through school. 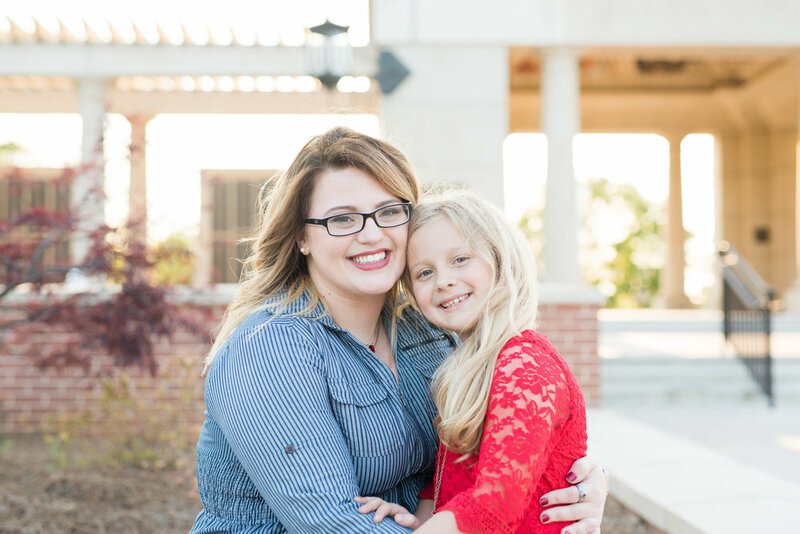 She has devoted so much time, energy, and emotions into her school work all while being a full time parent. Her sweet, adorable daughter is such a hoot to be around and she was her mom’s motivation in graduating! I was so thrilled to take these portraits for Mindy at The University of South Alabama. USA has such a gorgeous campus and is an amazing location for graduation portraits. I personally love the white walls / columns everywhere! An outfit change. Most photographers will allow an outfit change during graduation portraits and if they don’t I would suggest not booking them without looking at other photographer’s packages first. Your cap and gown. I know not all schools give out their caps and gowns in enough time to use them in graduation portraits, but if you do have yours or even an old one definitely bring it!! Having these items helps add to the different portrait poses you can take and will ultimately give you more variety. A cheesy sign. Mindy’s signs are adorable and so personal to her! Although signs are usually cheesy, you need to embrace it and bring one! You only graduate from college/high school once (most of the time), so embrace all the cheesy traditions and include them in your portraits! 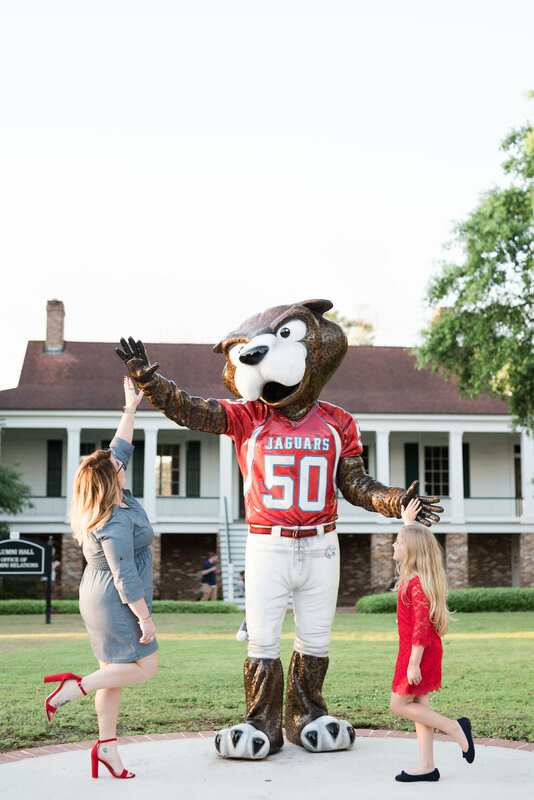 Lastly, if you’re graduating from South definitely request the cheesy, traditional high-fiving-the-jaguar photo! It is super cheesy, but such a fun memory and sign of accomplishment!! If you or a friend / family member is graduating message me for details on my discounted graduation portrait session!! I love capturing important times in people’s lives and graduating is such a huge deal! !